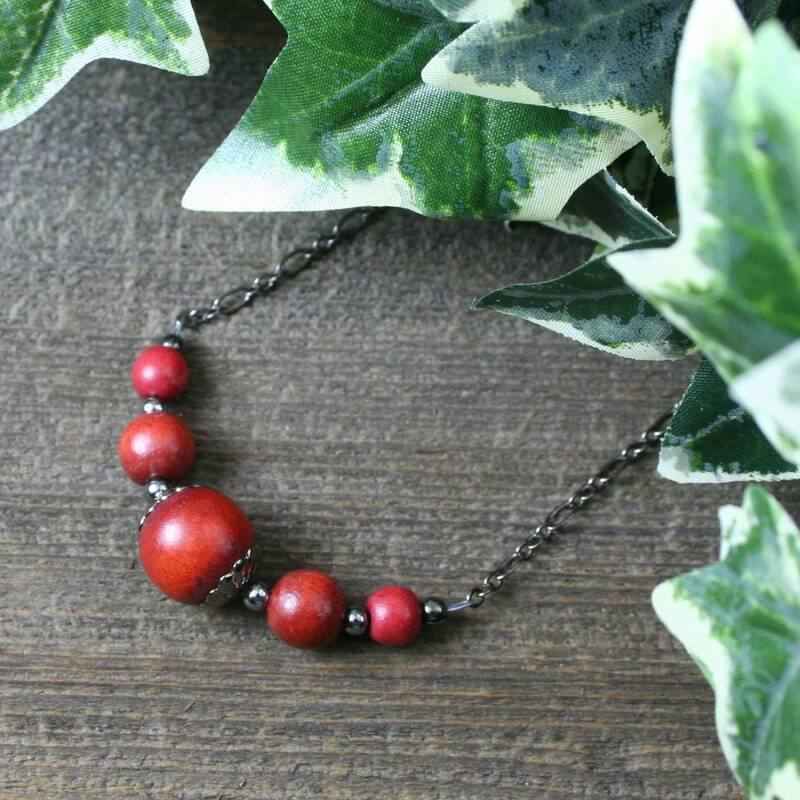 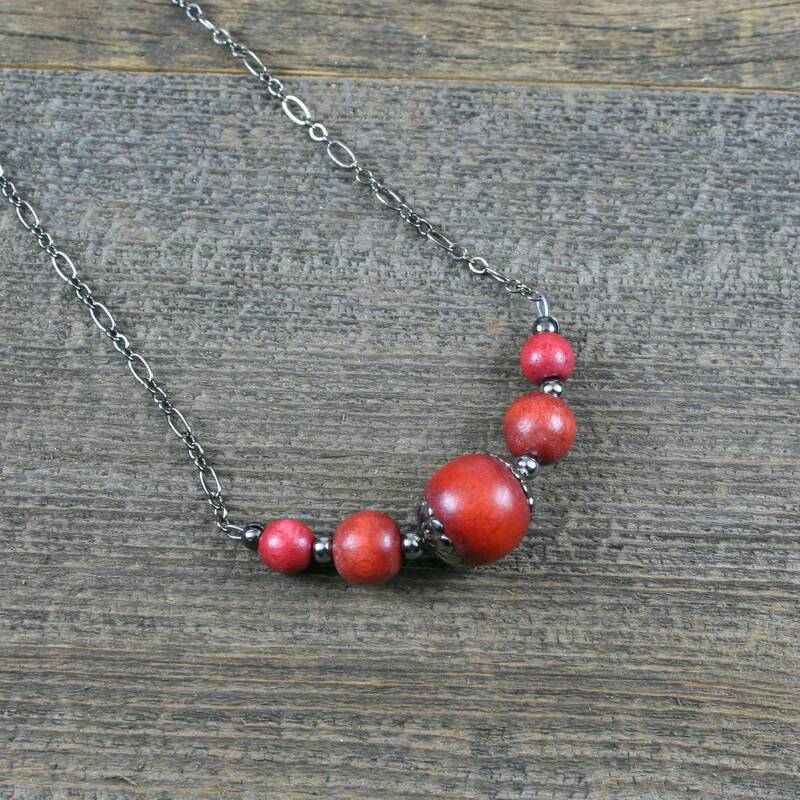 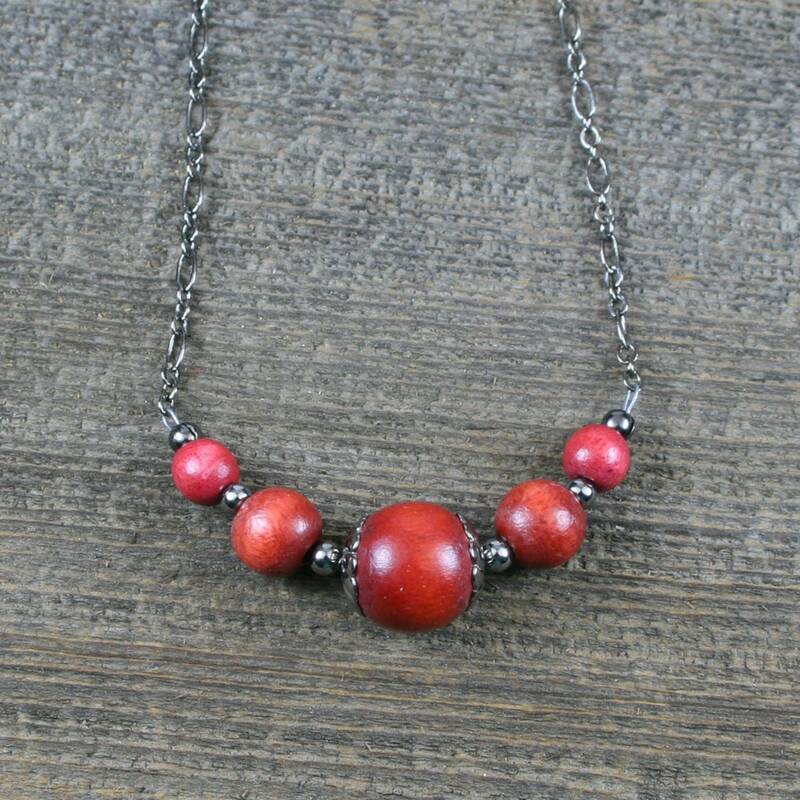 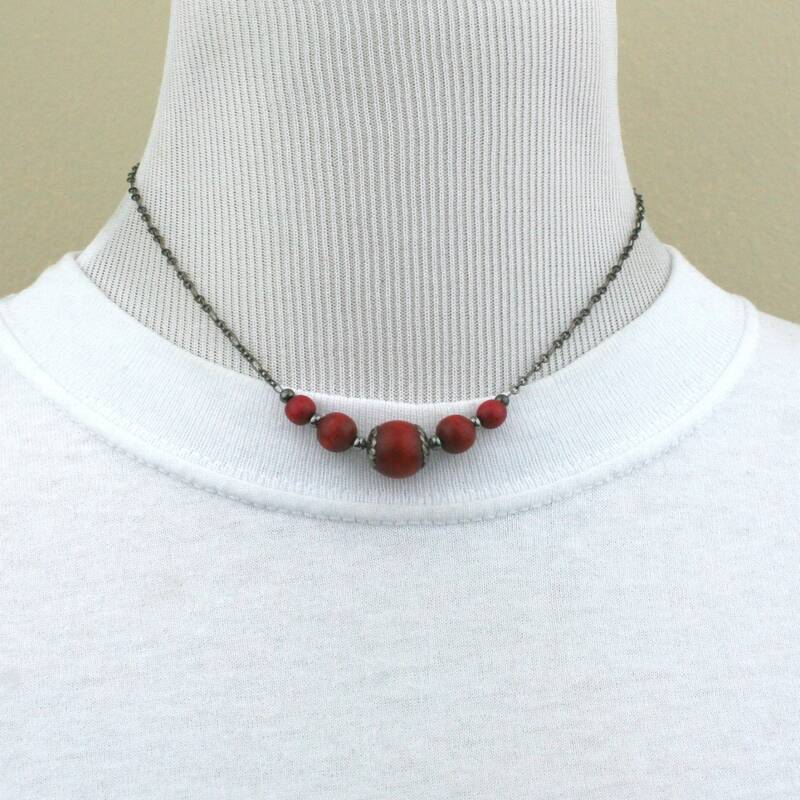 This necklace is handmade with Taiwanese cheesewood round beads in three different sizes in dark red with gunmetal plated accents. 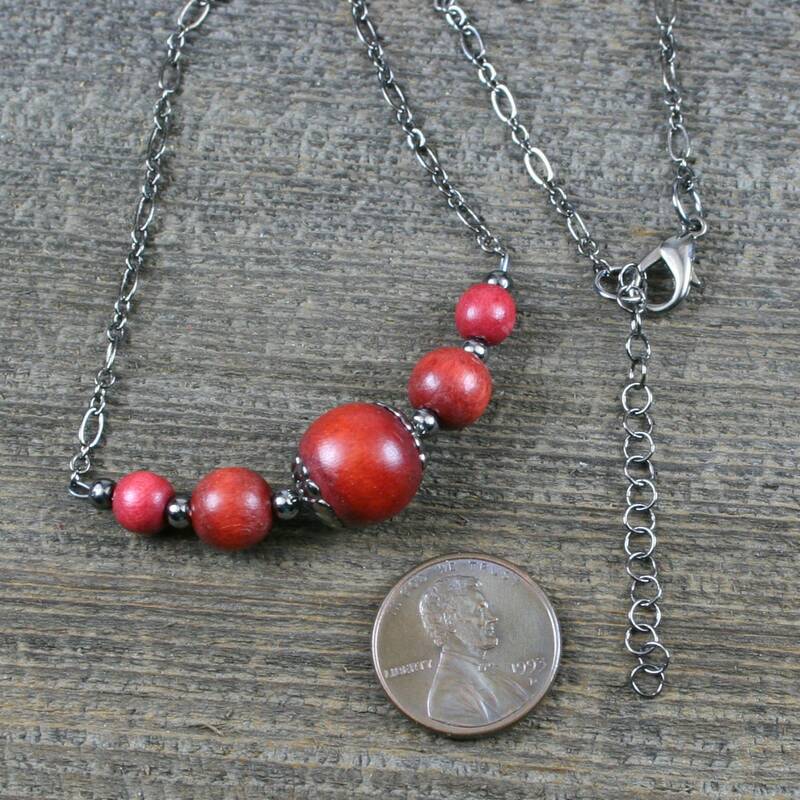 This is connected to a gunmetal plated chain in the figaro style. 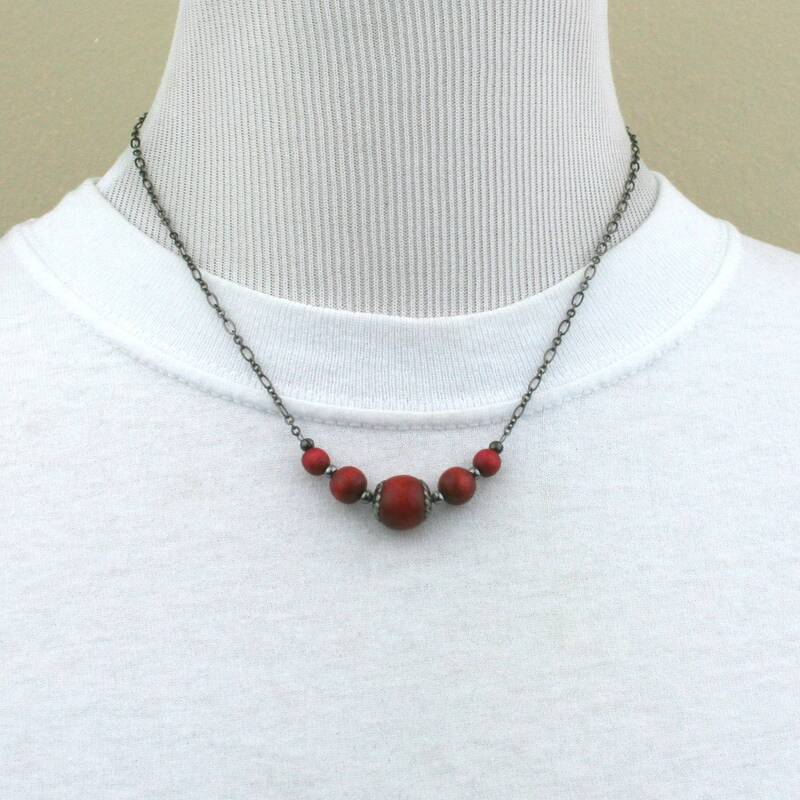 Coordinating earrings are also available at: https://www.earthwearcollection.com/listing/612601170/.